His Instagram post showed a headline referring to Tosin Adarabioyo buying a house for £2.25m "despite having never started a Premier League match". It was posted alongside an article describing how Phil Foden had bought "a £2m home for his mum" and "set up a future". It followed alleged racial abuse of Sterling, 24, by a fan at Stamford Bridge in Manchester City's defeat at Chelsea last December. "Sometimes it happens," Pogba told Sky, when asked if he feels the media treat him, or Sterling, differently because of the colour of his skin. Sterling is among the Sky Bet favourites for the PFA Player of the Year award. Here, we assess his chances of winning the prize. 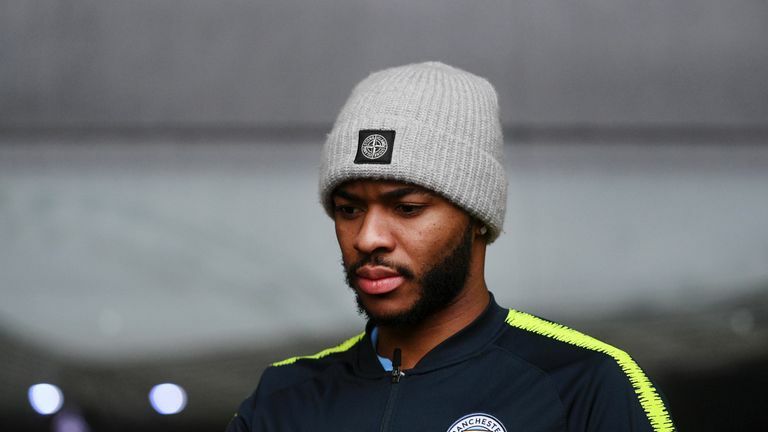 "I think Raheem Sterling, with all the stats from last year and everything he's done - nobody talks about it like we should," he said. With all the stats from last year and everything he's done - nobody talks about it like we should. England's Danny Rose said Sterling "was only saying what we all say in the dressing room". "I always say racism in football shouldn't happen, because football is a sport, a beautiful sport and makes people happy," Pogba added.